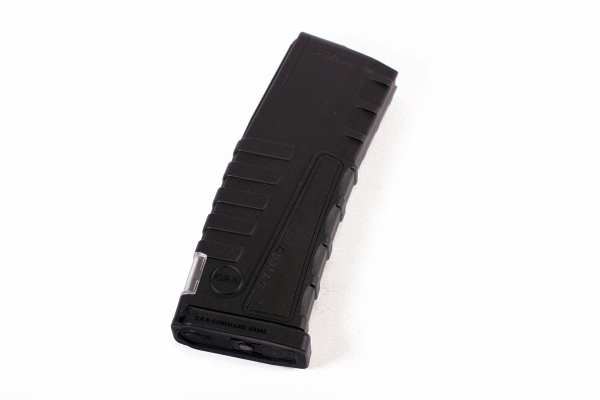 The innovative and exclusive 30-round Countdown AR Magazine, provides a visual indicator showing the exact number of remaining rounds left in the mag. The visual indicator has a colored background for easier and quicker round determinations. According to the left rounds in the countdown high capacity magazine, numbers appear on three different backgrounds: 30-21 rounds show a green background, 20-11 rounds show a yellow background, 10-0 rounds show a red background. You can view the indicator without losing the sight picture. 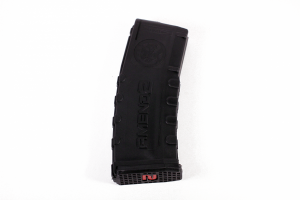 The second window on the bottom of the ar magazine allows you to instantly select a loaded magazine from your pouch. Always know, in a glance, exactly how many rounds left.